Looking to see more Tinton Falls condos? Call 732-598-7700 to see the Park Place Condos For Sale or Park Place Tinton Falls. Park Place Tinton Falls is a condo / townhouse complex. When you look for Park Place Condos For Sale you will have a choice of a two bedroom condo with 1.5 or two baths or a townhouse with two or three bedrooms with 2.5 baths. Sizes of these homes range between 1160 square feet to almost 2,000 square feet. There are 128 homes in this community, they were built in the early 1990s. These homes are in the starter home price range. These homes are approved for FHA Financing, the approval expires on 6/31/2019. This could allow you to purchase your own home with as little as 3.5% down payment. You could probably own your own home for a smaller monthly payment than renting a similar home. Park Place Tinton Falls is conveniently located near major roads and public transportation. New Jersey Transit offers rail service from the Red Bank train station. Bus service is also available, both local and commuter service with a Park and Ride located at the Garden State Parkway exit 109. Shopping is nearby as well as recreation areas. And it’s just a few minutes drive to the Jersey Shore. 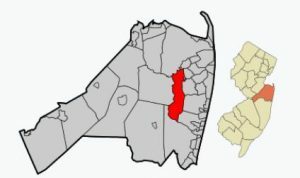 And Monmouth County has an extensive system of public golf courses.